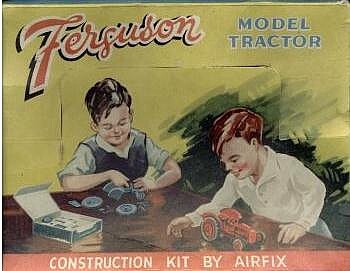 480 FERGUSON TRACTOR. 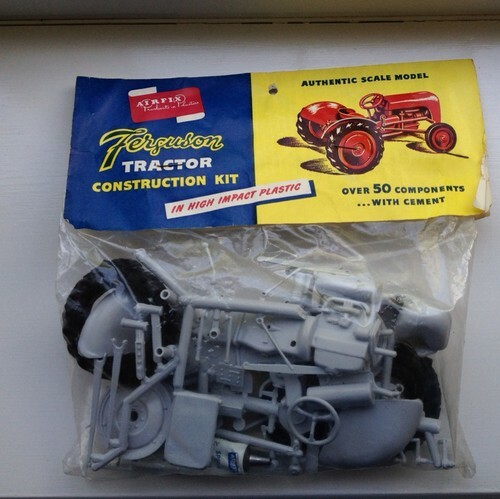 A perfect scale model of the famous British Tractor. Supplied as a complete model which can be taken to pieces and re-assembled indefinitely. Over 30 perfectly modelled component parts. 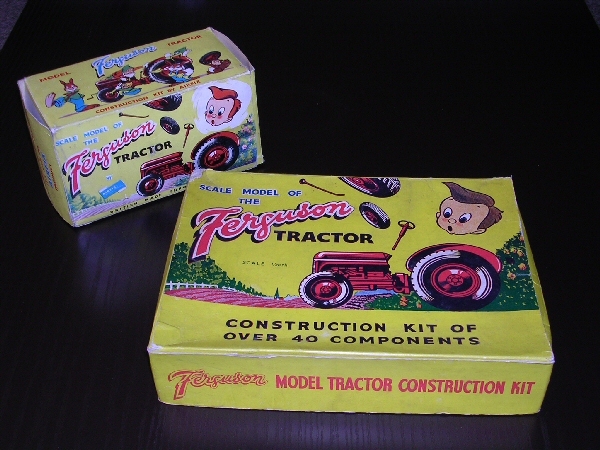 Each tractor in attractive box, with full instructions. 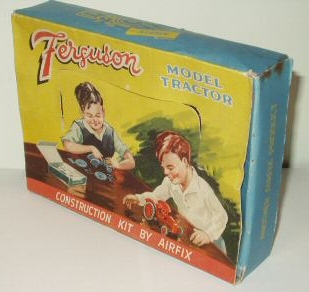 The first ever Airfix kit model was available ready-made or kit form and in all sorts of coloured plastic. It was also available in both boxed and bagged. The bag version was produced from 1955 to 1959 and was listed as 1317 in a 1959 price list.